Zynga is cutting 18 percent of its workforce and closing its offices in New York, Dallas and Los Angeles. 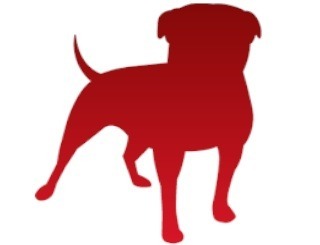 Zynga's troubles over the past couple of years have been well-documented but even so, these cuts are big. In an effort to reduce costs and make a harder turn toward mobile gaming, the publisher will lay off roughly 520 employees, representing 18 percent of its staff, and close down its offices in New York, Dallas and Los Angeles. The cuts will affect all parts of the company and save an estimated $80 million, a figure that's expected to be even larger once other infrastructure costs are factored in. "None of us ever expected to face a day like today, especially when so much of our culture has been about growth. But I think we all know this is necessary to move forward. The scale that served us so well in building and delivering the leading social gaming service on the Web is now making it hard to successfully lead across mobile and multiplatform, which is where social games are going to be played," Zynga CEO Mark Pincus said in a message posted on the Zynga blog. "These moves, while hard to face today, represent a proactive commitment to our mission of connecting the world through games. Mobile and touch screens are revolutionizing gaming. Our opportunity is to make mobile gaming truly social by offering people new, fun ways to meet, play and connect. By reducing our cost structure today we will offer our teams the runway they need to take risks and develop these breakthrough new social experiences," he continued. "Because we're making these moves proactively and from a position of financial strength, we can take care of laid off employees. We're offering generous severance packages that reflect our appreciation for all of their work and we hope this will provide a foundation as they pursue their next professional steps." Zynga suffered through significant layoffs last year, cutting more than 100 people from its Austin studio in October, and in February of this year consolidated its Texas and New York operations and shut down its Baltimore office. But sources say these even more drastic cuts are necessary now because its web business has declined faster than expected, while its mobile business isn't taking off as quickly as needed.